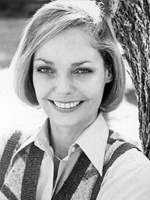 Judy Lewis is the love-child of Clark Gable and Loretta Young. She acted in soap operas and wrote for Search for Tomorrow. She later became a clinical psychologist specializing in foster care and marriage therapy. She seemed cute and innocent. I liked her.